The Cincinnati Reds don’t play today. But that doesn’t mean that we don’t have plenty of news to share about the team. This weekend the team will be playing a 2-game series in Monterrey, Mexico against the St. Louis Cardinals. 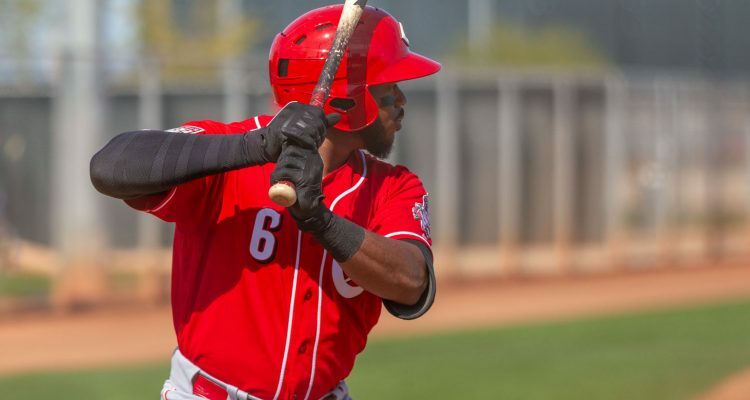 Both teams will be allowed to have 26-man rosters for the series and the Reds have chosen to use their extra spot on the roster to call up outfielder Phillip Ervin. During spring training it was Ervin who was swinging perhaps the hottest bat of any player in camp. In 41 at-bats he hit .341/.438/.780 with five home runs. Still, when the Reds decided to go with an extra pitcher in the bullpen instead of an extra man on the bench, that sealed the deal for Ervin being sent to Triple-A. In the seven games played this season with the Bats he’s struggled, sort of. He’s hitting .148 without an extra-base hit, but he’s also walked more times than he’s struck out, 5-to-4. Another outfielder who was sent down late in spring training, Nick Senzel injured his ankle shortly after being sent to the minor leagues in Goodyear. It’s been about two weeks since the initial injury and he spent most of that in a walking boot. He has been getting in baseball activities recently, though – and on Thursday he was expected to get live at-bats at the complex in Goodyear where the Reds are in extended spring training. With that said, Fletcher Page of The Cincinnati Enquirer noted that David Bell said that Senzel was still a couple of weeks away from playing games at any level. 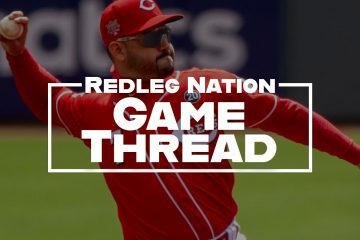 If Nick Senzel is going to be several weeks away from even playing in games – let’s just call it the end of April, that begs the question of if the Reds will just try to keep him down another month in order to get past the Super 2 date. Sometimes the Super 2 and the “extra year of control” thing get confused for each other. They are different things. The extra year of control is just that. It basically means that a team gets to keep control over a player for six full seasons, plus that first season that they missed out on 11 days of. Super 2, however, is for players who among the players with more than 2, but less than 3 years of service time. Among the players that meet that criteria, the top 22% with the most service time become arbitration eligible for four seasons, rather than three. The date isn’t set in stone like the “extra year” is. But the Super 2 date is usually between May 20th and June 1st of a given season. Major League Baseball has or will play six games in Monterrey this year. Two of them have already happened, with Colorado and Arizona playing a set of games there in spring training. This weekend the Reds and Cardinals will play games that actually count. In a few weeks the Mike Trouts, err, Angels will take on the Astros in a 2-game set. The games will be played at the home ballpark of the Sultanes de Monterrey. The Mexican League as a whole is very hitter friendly. The league OPS last year was .800. Among leagues that are considered “minor leagues” that is far and away the highest OPS for any league. Park factors aren’t exactly easy to find for the league. Google got me nowhere. So I picked the most recent season I could find a full season of data for on Baseball Reference and manually ran the home/road splits for every hitter on the team. The difference was only 8 points of OPS, so it *seems* that the park itself doesn’t play much different than the league as a whole. But that still means it’s quite hitter friendly. Good luck, pitchers. The stadium itself is the largest in all of Mexico. 325 feet down both lines, 405 feet to center field. Has field turf, not grass. Would be the second highest stadium in elevation behind Coors Field (by several thousand feet) among Major League Baseball stadiums. It was 100 degrees in Monterey yesterday. Too bad Josiah Gray was traded to the LA Dodgers for 1 year of Alex Wood to sit on the IL. Gray last night 5.0 IP, 0 H, 0 BB, 0 R, 5 K. It is only A ball, but he is going to be a stud pitcher. Hmm…I feel like the Reds got 3 other players in that deal (and one Homer Bailey contract). I can’t even imagine that super-2 status ever comes into play or consideration regarding Senzel’s activation and promotion. If and when Senzel is ready to play CF at the major league level, he will be on the 25-man roster and starting in CF. The only real issue will be the roster implication for other players, but let the chips land where they may…Senzel will be starting in CF. If Senzel is healthy and playing decent baseball, I say bring him up before he reaches Super 2. If not, the team needs to do what’s in it’s best interest. Whatever the case, let’s get this guy up here before July so we can finally groom him for a starting roll next year. Of relationship with him and not really damage things. Make sure the guy gets paid (which we should NOT care about) as long as we can keep that year of control. Hopefully, he crushed it over the next 12 months and they do an extension and remove all the gamesmanship. Damage what? He’s hurt. He’s a ball player. Votto didn’t get payed until after he was an MVP and proved he was a legit talent at MLB level. Senzel hasn’t proved anything at MLB level and he sure hasn’t proved he can stay healthy. It’s a business. My employers didn’t give me a raise and bonus until after my performance merited it. Baseball economics is no different (a la Suarez). He’s Nick Senzel, not Bryce Harper or Kris Bryant, so can we get over the sensibility regarding contracts now? Nick has done everything he can at the major league level. I wouldn’t exactly say he’s staying in AAA for poor job performance. No, it’s because the Reds didn’t want to ruin their extra year of control, and then of course Senzel gets hurt 2 days later. Would he have injured himself if the Reds headed out of AZ with him on the roster? Maybe, maybe not. But, from what i saw of him in AZ, he looked good and should have been on the roster in some fashion instead of getting cut. He is one of the top prospects for a reason. He has the tools to succeed at the big league level and the longer the Reds wait the more it hurts their relationship with the player. Granted he is injured right now, but once he is healthy and playing baseball again they should call him up. What does this mean for Kemp, Iglesias, Dietrich, maybe even Schebler? I dont know. But at some point we need to let Senzel prove his worth for the big club. He should be a big part of te Reds future plans after all. I got to know Nick briefly while he was in Dayton. To me he seemed very well grounded and approached his craft in a very businesslike fashion. I think he understands the business end of things and he will make decisions in his best interests at the time. The Reds could just keep Senzel in AAA until he is 28, then they could keep control until he is 34. I know right. It seems like players are being held in the minors for longer periods these days. For comparison, Pete Rose broke into the majors at 22, Johnny Bench, 19. Okay, those are bad examples:) I don’t know if it’s that players are not maturing as fast these days or organizations are just extending their development. Whatever the case, it just seems like by the time they are brought up they are already in their 6 year “prime” windows. Continue the youth movement and roster transformation and opportunistic value signings for good veterans. Adam Duvall – hit .160 for the braves in 2018, left off the postseason roster and in AAA with Gwinnett. Struck out twice against Louisville. Zach cozart- $40 million contract and missed first year injured. 1-30 in 2019 and hitting .033 in year 2. Homer Bailey 0-1 9.05 ERA. Matt Harvey 0-1 10.50 ERA. Billy Hamilton sub .300 OBP and injured ( thankfully not serious). The Reds made a lot of good decisions the last 6 months. I agree. Sometimes we overlook the good decisions because we’re frustrated with the bad ones. The one that leaps out to me is Cozart. The big strike against him was being injury-prone, and it happened again in his first year with the Angels. Now he can’t buy a hit. Certainly that will change, but I think it’s fair to say the Angels wish they hadn’t given him $40 million. Poor Adam Duvall. What happened? 2 years later and he’s not in the bigs any longer? He’s only 30? Duvall was a nice player for 2 years. Big power and solid defender. But that’s the normal. The window is short for most. Throw in injuries and aging after 30 and everyone but the 1% fall off fast. Father time always wins. Duvall was a good Red though and an All star and deserving of a GG. Fixed left field for a bit. But it’s Winker s time now and Trammell and Senzels time very soon. I agree they were good decisions but they could have got more in return if they had moved earlier in the careers of Billy and Zach.Homer as you know was a great deal with the Dodgers in that they got players who will help even if its only for a year.Gone are the days teams pay for past production replaced by what does the data say players will do going forward. I saw a short video last night of the Reds getting off the plane in Monterey and thought I recognized PE coming down the steps. I’d been off the grid all day; and, admonished myself, no that can’t be him. Everyone knows the Reds always bring up a 14th or 15th or…. mediocre pitcher in these situations. So I think it is progress that they went with a position player. I hope he gets a chance and makes a positive difference. Think I read that they were only allowed to call up a position player for that 26th spot. I also hope Philipp Ervin gets a chance. He’s a good hitter and can reinforce the offense. Maybe the Reds can send Kemp to an AL club as a DH candidate and eat some of his salary. Ervin needs to be the Reds 4th. outfielder this year. I think that one reason Kemp has gotten so many ABs is because they want him to get going so perhaps they can move him. At this point, it looks like the only was to move him is to cut him. Dont fool yourself, though. Even if Kemp can be moved, Reds will have to eat more than “some of his salary”. It would have to probably be a deal where they pay almost all of his salary. I think something similar to the Brandon Phillips deal to the Braves. Kemp and Bailey were each teams “albatross”. The Dodgers cut him immediately, the Reds are still, for whatever reason, trying to get value out of him. He needs to be cut, just like the Dodgers did with Bailey and bring up Ervin. When Senzel arrives maybe send down Farmer. Getting ready for this weekend in Monterey. Iglesias is a very good defensive SS. He also plays with enthusiasm and competes.. a bit like a 29 yo BP… Ive been to 2 wins this year and he’s fun to watch and can make all the plays. Admittedly I knew nothing about him before the Reds signed him but I’m wondering what the Tigers failed to see that caused them to let him go. I’m a pretty strong believer that good infield defense up the middle is vital to success as a team and Iglesias at SS with Peraza at 2B seems to provide that. He’s basically Billy hamilton but a little slower (hamilton .620 career OPS, Iglesias .670 career OPS). So to understand why the Tigers got rid of him, you just have to read what people were saying about Billy. While the comparison to Hamilton is helpful (great glove, less hit, too expensive in arbitration for his production in the eyes of a team whose rebuilding is behind the Reds’ timetable), there is a big difference in the two. Hamilton got a lot of his career value from speed, which declines early, and is already declining in his case. 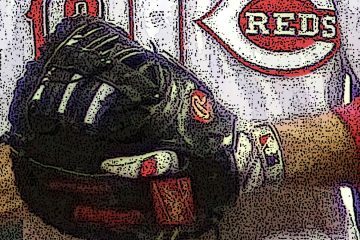 The shortstop glove of Iglesias will age better. Looking forward, Iglesias projects to be a much more valuable player (around league average for a starter) than Hamilton (well below average, except perhaps for his fielding in huge ball parks, which will fall off at some point, too). By speed up fo you mean turning bunts into doubles? If anything games would last longer because pitchers wouldn’t be able to get through innings. Let’s just hope they don’t drink the water! I do not know why (or even if) the Reds didn’t work out, but they were hosting a clinic (I believe at the ball park) for a couple of hundred orphan kids to teach them baseball. I bet we see an error or two. These are not the Reds of Riverfront Stadium. I have to agree pretty surprised they didn’t hold a workout as well. Lets hope for easy bounces on ground balls.